Develop skills to treat clients with co-occurring disorders and get CCDP or CCDPD certified. Don't have the time or budget to attend a conference? With Hazelden, you can earn CEs with the click of a mouse or the turn of a page. Turn to Hazelden for all of your educational needs. Hazelden offers many new opportunities for professionals to expand their knowledge of alcohol and other drug addiction prevention, education, and treatment. View the complete list of online courses—now more than thirty strong. CE hours are available for most courses. Read and learn from expert authors, take the included CE test, mail it in and receive your CE hours. Take part in upcoming live Webinars or view our popular archived webinars—then take a simple learning assessment to earn CEs from NAADAC or APA. Learn about our full menu of curricula trainings. Participants receive 6 CE hours per day. Earn continuing education hours all from the comfort of your home or work. Our catalog showcases the vast array of tools we provide to enhance your knowledge base and update your licensure with the latest science and evidence-based practices. 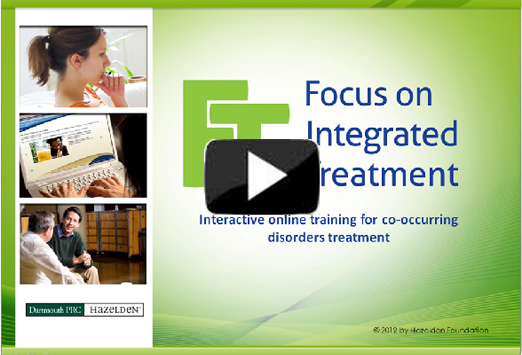 Focus on Integrated Treatment (FIT) is the only comprehensive online training and credentialing program for treating clients with co-occurring disorders. FIT combines evidence-based best practices in substance use and mental health therapies. 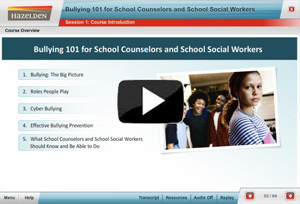 In partnership with Clemson University, the American School Counselor Association, and the School Social Work Association of America, this three-hour course provides evidence-based information about bullying, cyber bullying, best practices in bullying prevention, and how school counselors and school social workers can effectively address the important issue of bullying in their schools.